These are some recent patch designs. Download the contest flyer with the shape for this year’s patch by clicking the box below. Make copies to share with your friends. 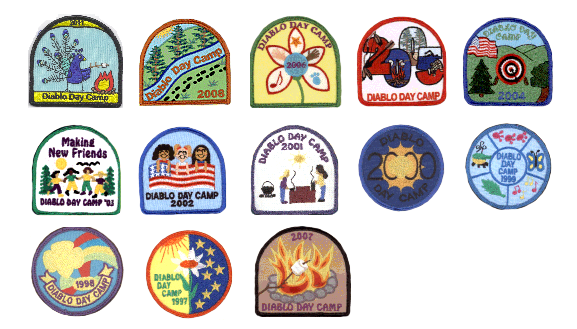 Win a Campership to Diablo Day Camp at Twin Canyon, Little Hills Ranch or Shadow Cliffs if we use your patch design!